A full day of live web streaming from the Well Workshop in Cincinnati on Friday March 21. We have had such incredible interest in the workshop (over 2900 people visited the Well Event page on SEGD.org) that we have decided to make this workshop accessible to everyone. We have heard from so many people that they want to go, but are just too slammed to get there. Here is your chance to participate. Join the Well Workshop on Friday March 21, 9am-5pm EST, via live streaming video. Buy a registration and let the whole studio participate all day or parts of the day for only the sessions that interest you. 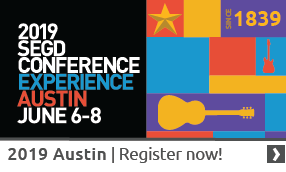 SEGD Well will focus on current design methodologies and research metrics in healthcare design, with a concentration on three key areas: wellness and healing environments, information design and nomenclature, and branding and the patient experience. The event is designed to bring together an interdisciplinary community of designers, architects, healthcare professionals, and patients. The two-day event encompasses project tours of recently completed healthcare environments and a curated series of presentations and discussion panels with design experts, innovators, and their clients. Join us for two tours of recently completed healthcare environmental graphic design projects by Kolar Design. Tours hosted and led by Kolar Design. Wrap up and thank you! Congratulations to our weekly draw winner, Sharon Brooks! Download the Full Agenda with talk titles, speakers, and firms. Download a Poster to hang around the studio or your school. We have reserved a block of rooms at a rate of $159 plus tax, US dollars. This rate is in effect through February 27, 2014; after that date, unsold rooms will be released. Make your hotel reservation using the code “SEGD Healthcare Workshop” by calling 513.487.3800 or by making a reservation directly on the Kingsgate Marriott hotel website. Kate Keating is an EGD pioneer, developer of universal wayfinding for healthcare settings, and perhaps the most experienced designer working in healthcare-specific EGD today. 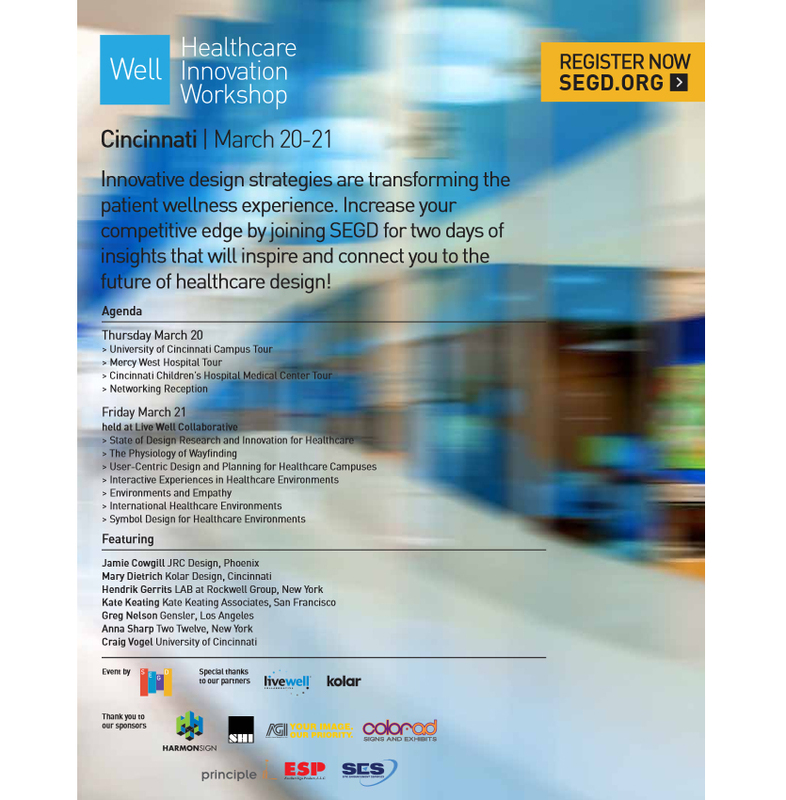 Learn from her insights at the SEGD Well: Healthcare Innovations Workshop March 20-21 in Cincinnati! At this Cincinnati health network, the message of compassionate care permeates the healing environment, from architecture to signage and donor recognition. 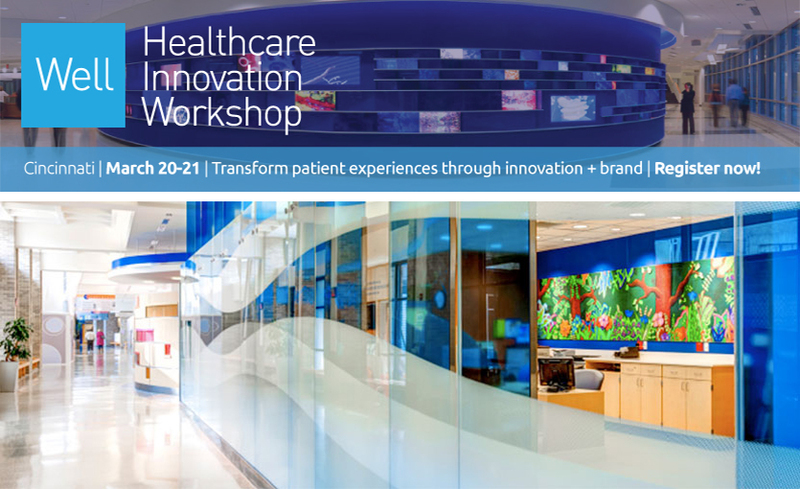 Learn more about Mercy Health and how they're innovating the patient experience at SEGD Well: Healthcare Innovation Workshop March 20-21 in Cincinnati! Contact Sara NaegelinDirector of Sponsorship, at 202-489-8977. Or Kathleen TurnerDirector of New Business, at 202-638-5555.